Coty Inc. (NYSE: COTY) slipped to a loss in the second quarter from a profit last year, due to a non-cash impairment charge primarily connected to the Consumer Beauty division and select brand trademarks. The results exceeded analysts’ expectations. Following this, the multinational beauty company’s stock soared over 19% in the premarket session. Net loss was $960.6 million or $1.28 per share compared to a profit of $109.2 million or $0.15 per share in the previous year quarter. 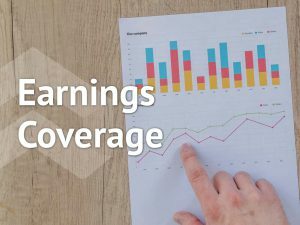 Adjusted earnings decreased 25% to $0.24 per share, due to lower adjusted operating income and a positive foreign tax settlement in the prior year period. 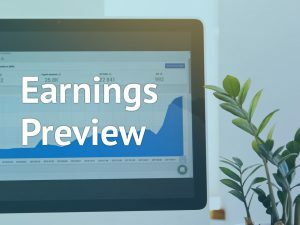 Net revenues declined 4.8% to $2.51 billion, with a like-for-like (LFL) revenue growth of 0.7%. As focusing on building a healthier business model, the company anticipates a profit trend recovery in the second half of fiscal 2019. Coty expects that fiscal 2019 constant currency adjusted operating income will be moderately below 2018. The company continues to expect positive free cash flow for fiscal 2019. In the second quarter, Luxury net revenue rose by 7%. On an organic basis, Luxury revenue grew by 10.8% primarily driven by the addition of Burberry to the LFL base and solid growth of the core portfolio, despite the ongoing impact from the supply chain disruption. Consumer Beauty net revenues declined 15% on a reported basis and 7.3% on an organic basis. The division continues to be affected by the indirect impacts of the supply chain disruptions, including customer penalties and increased promotions, which reduced net revenues. Professional Beauty net revenues declined by 4%, with organic revenue down 0.8%. The division continued to be impacted by the supply chain disruptions in its North America warehouse, with OPI being disproportionately affected. The company continues to see no underlying change to the strong customer demand for its brands in North America or to the overall health of its salon professional business. Net debt fell by $172.8 million to $7.5 billion on December 31, 2018, from the balance of $7.7 billion on September 30, 2018, driven by positive free cash flow and a benefit from foreign exchange. This resulted in a last twelve months Net debt to adjusted EBITDA ratio of 5.8 times, consistent with the reported ratio on September 30, 2018. Separately, the board of directors of Coty declared a quarterly cash dividend of $0.125 per common share. 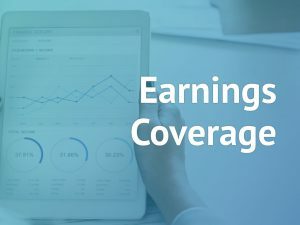 The dividend is payable on March 15, 2019, to shareholders of record on February 28, 2019. This dividend will be considered a return of capital. Shares of Coty ended Thursday’s regular session down 5.11% at $7.06 on the NYSE. The stock has fallen over 59% in the past year and over 18% in the past three months.